SHEBOYGAN, WIS. (AP) – Health officials in Sheboygan, Wisconsin closed a local restaurant today for what it called, improper food handling and murder. Jack’s Brunch Alibi, a family owned sports bar and grill featuring daily lunch specials and Packer game day drink pricing, was cited for several health code violations, as well as felony murder and dismemberment charges. 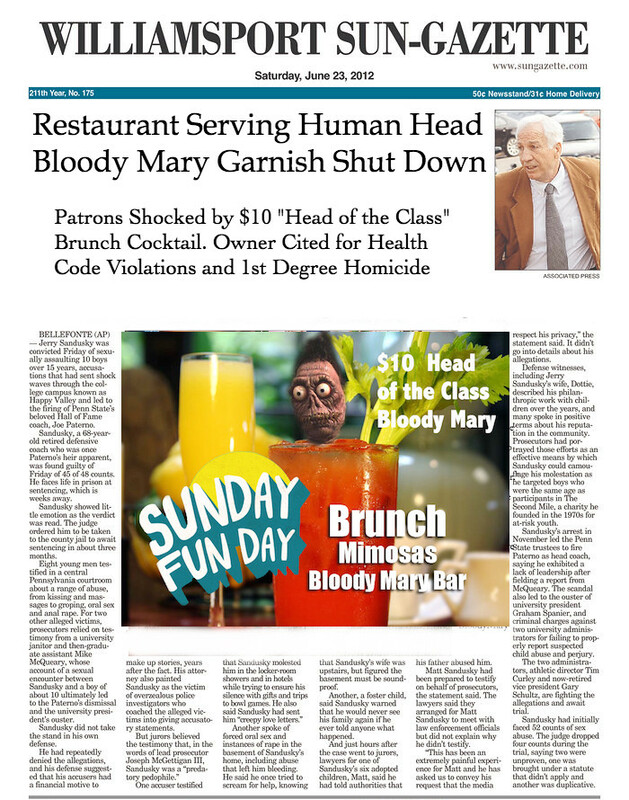 According to local reports, the newly renovated pub and eatery had become embroiled in a deadly race for the most outrageous bloody Mary special. Fueled by a recent introduction of a fifty pound cocktail boasting celery, pickle, ten year aged cheddar, and a fully functional Habitrail by a neighboring eatery, owner Norm Grossberg may have gone too far. 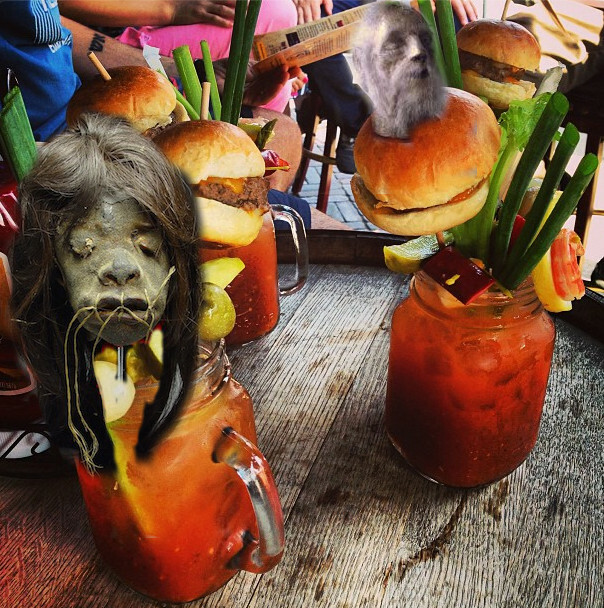 While most customers were delighted to find actual shrunken human heads adorning the pub’s famous breakfast cocktail, (Norm makes his own recipe from scratch daily and refuses to share its secret! ), one customer thought things had gone too far. Sheboygan County Sheriff, Karl Kamanski had strong words at a news conference today.